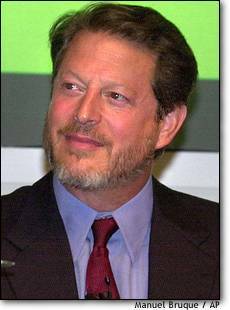 The Associated Press reported today that Al Gore's beard (known in some Republican circles as that Unidentified F*&^ing Object) has mysteriously vanished. Mr. Gore displayed his new visage to his students at Fisk University (am I the only one that has never heard of the place? 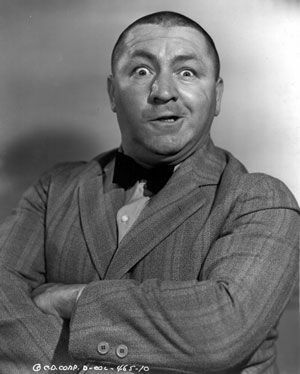 ), claiming that he merely wanted to show his support for Tipper if she decides to run for Senate. Tipper's reaction was swift and decisive (no beard, no race). 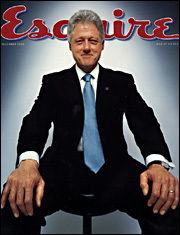 There was no comment from the collective student body at Fisk, but that's not unusual particularly after a lecture from the inspiring Professor Gore..
Bill Clinton - Everybody knows Slick Willy is still really pissed at Gore for stiff-arming him during the last election. Friends say Clinton even blames Gore for "screwin' with ma legacy." Bill still doesn't get it, does he? Nobody wants to screw his legacy. He's screwed it enough himself. The Beta Gore's Revenge - Psychiatrists are hard at work trying to find a psychobabble answer. 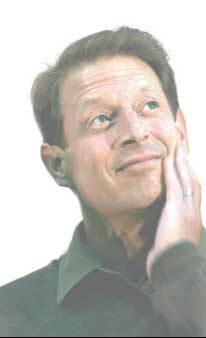 The best they can come up with is that Gore just couldn't stand looking like a middle-aged Willie Nelson anymore. The beard just didn't project the kind of Alpha dominance that his advisors promised. How about some Grecian formula and Minoxydyl? Of course, this would suggest that Gore truly was the prepetrator, albeit in a deep, self-induced trance (i.e., his normal pre-debate posture). "This is not a tea leaf. Millions of American men woke up today and shaved. This does not mean they are en route to Concord, N. H. to file." Maybe not, but by the looks of things Tipper is on her way to Nashville to file - for a divorce, that is. 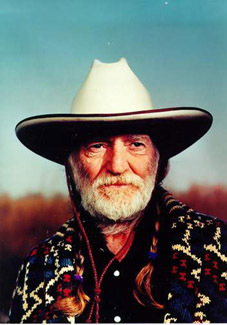 Willie Nelson - Now here's a guy with a real beard! And it doesn't sit well with guys like this to have alpha-man wannabes like Professor Gore running around with patchy growths hanging from their chins. Willie's the kind of guy that will take matters into his own hands, too. Don't let that laid-back image fool you - he's all business when it comes to beards and residuals.